Prior to triathlon I played ice hockey with my husband and dabbled in a few other recreational activities including in running, soccer, hiking and the like. I started a significant weight loss journey in 2006 when I took a “Tri-It” class with a friend. I wrote about that journey in detail here: http://jennifermaeedwards.blogspot.com/2009/12/my-story-rest-is-still-unwritten.html. Fast forward to 2010 and I was lining up for my first Ironman Canada on the classic Penticton course! I chose Endurance Nation because the philosophy of working hard and smart within defined metrics resonates with my personality. I enjoy data and learning and Endurance Nation works with very specific pace and power guidelines. Additionally, I appreciate the camaraderie of a team without needing to physically train with teammates. The virtual support and acumen of the team is overwhelming and has been criticial to my success! Since joining Endurance Nation I have progressed from my first Ironman finish in 2010 at 13:10 to a breakthrough year in 2014. 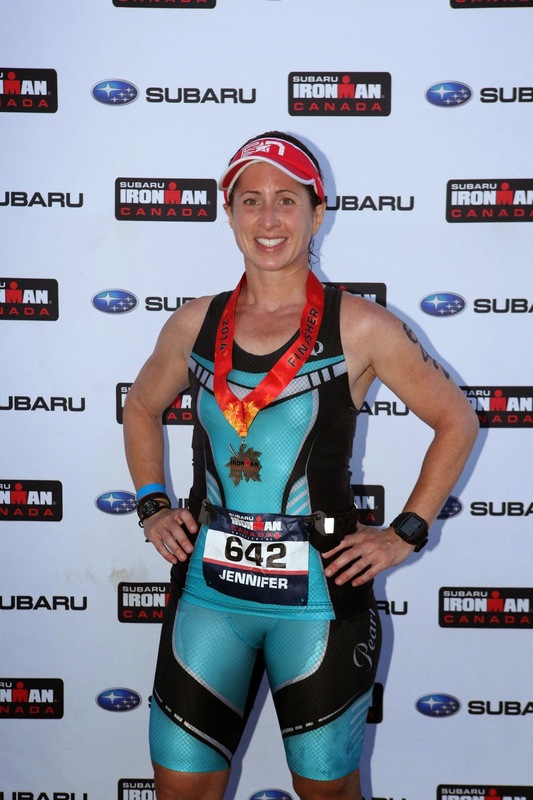 In 2014 finished Ironman Coeur d’Alene in 9th with a time of 11:27 and followed that up with a finish four weeks later in Canada that earned a 4th place podium. I feel the most important thing to share about Endurance Nation is that is really is a community and a team in every sense. The support from teammates and knowledge you desire is right at your fingertips, you just need to ask. I am targeting Ironman Canada and Ironman Coeur d’Alene in 2015. An aero helmet – how nerdy!